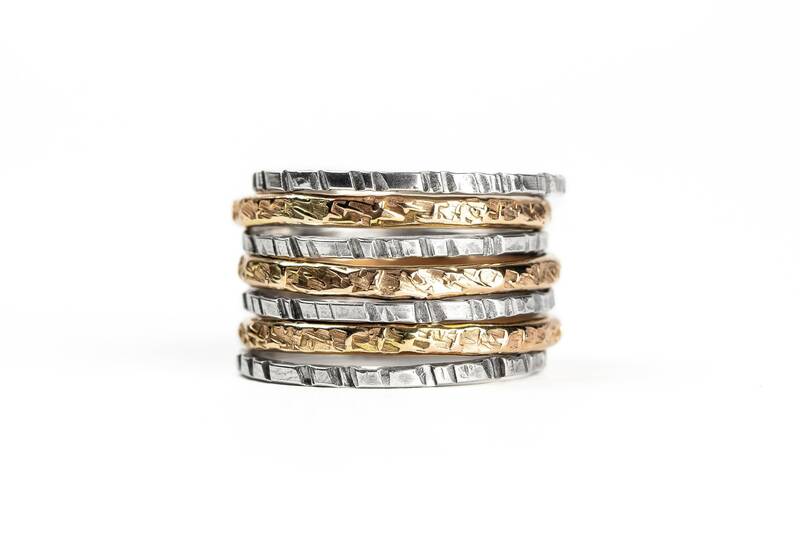 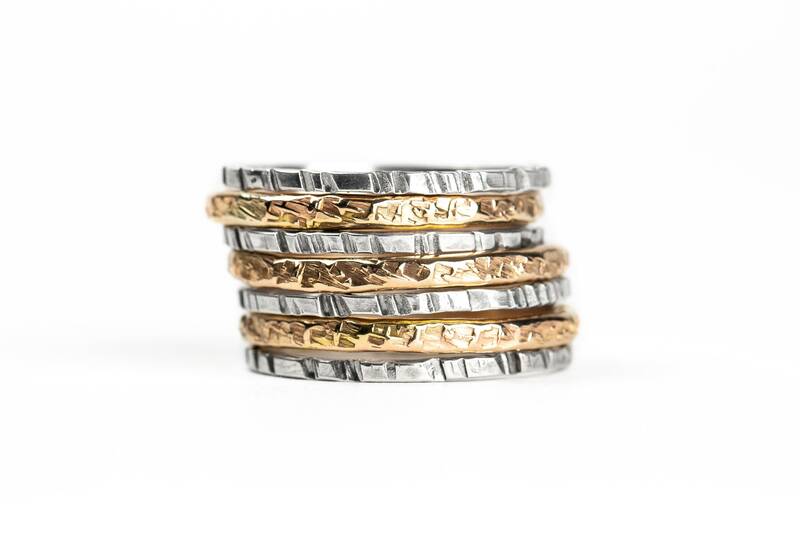 This ring set contains 3 14K Yellow Gold Fill heavy weight Raw Silk stackers and 4 sterling silver Rugged stackers. 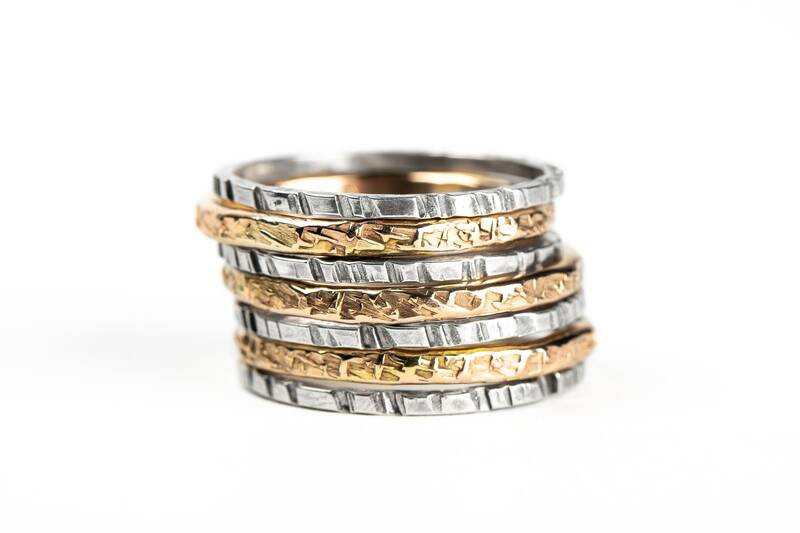 - Rings feature my "Raw Silk" and "Rugged" textures. 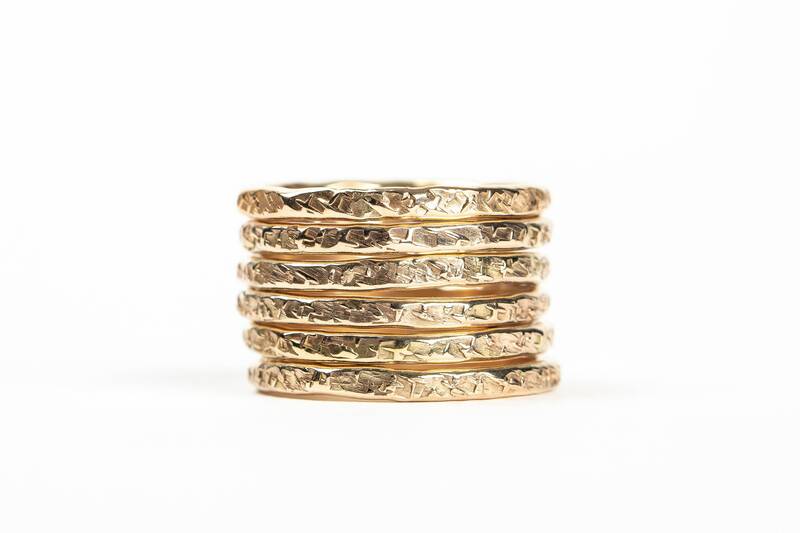 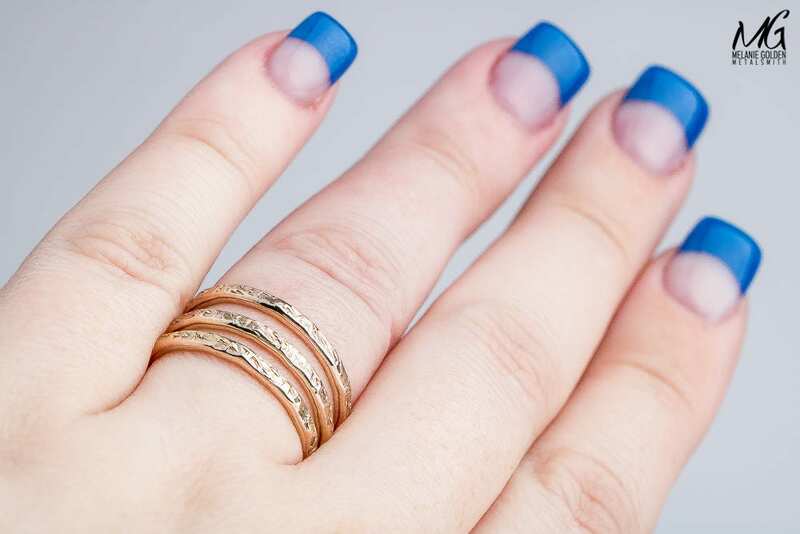 - Rings measure approximately 1.5mm and 2.5mm in width. 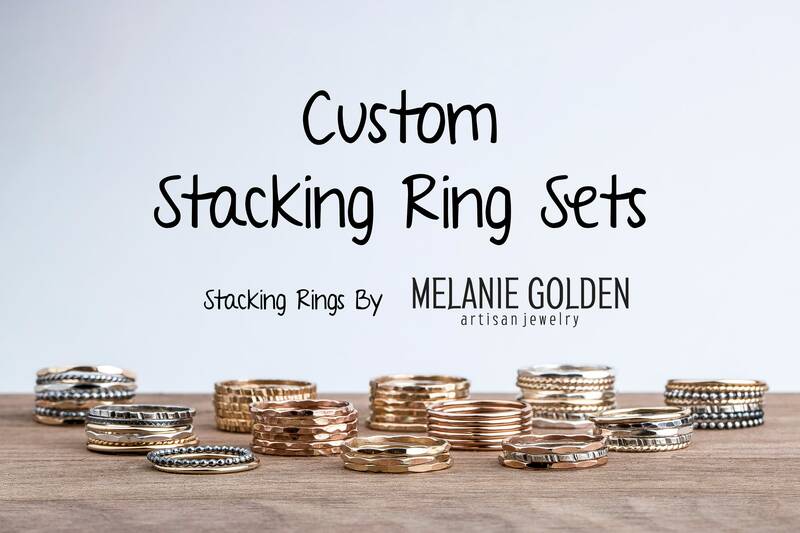 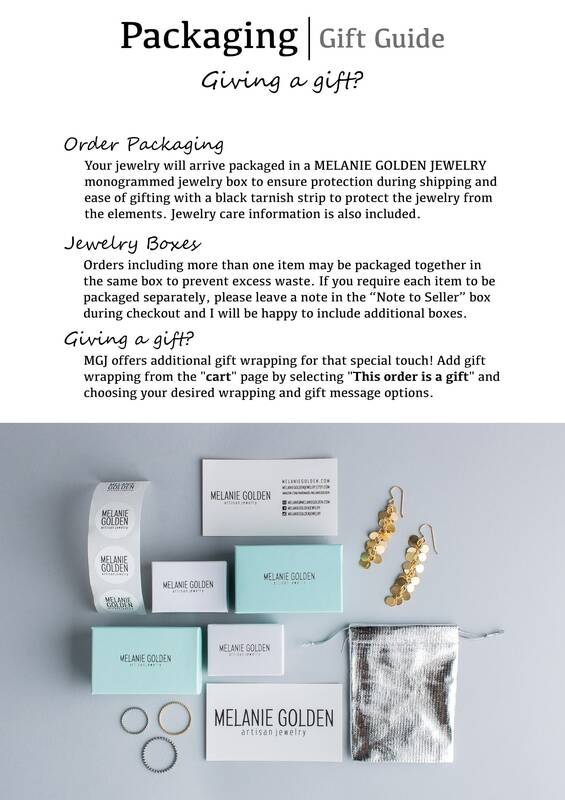 - Ring set is for 3 14K Yellow Gold Fill heavy weight Raw Silk stackers and 4 sterling silver Rugged stackers.